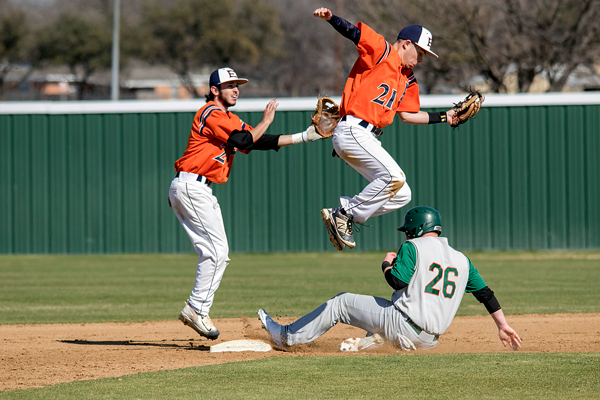 Eastfield baseball is off to a hot start, winning seven of their first nine games. 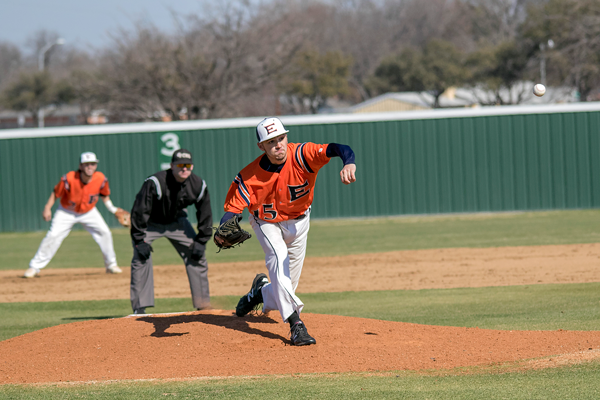 “We’ve had some really good outings by some pitchers, and we’ve got a couple of guys in our lineup that are swinging the bat really well,” head coach Michael Martin said. It’s a marked improvement over a year ago, the team had a 2-7 record. However, Martin still sees room for improvement. The defense has posted five multi-error games in the first nine, and at least one error in all but one game. A 19-9 loss to Hill College highlighted areas where the team needs work, Martin said. The Harvesters’ offense has been effective, averaging seven runs a game on about nine hits. Martin likes what he’s getting from a variety of players. Freshman Trenton Dowley and Ryan Ferguson have split time at catcher, with Christian Del Bosque at designated hitter. Transfer pitcher Tyler Stone has added depth to the pitching staff, something that Martin is planning to use. “We feel like he’s a guy that could step in and earn a starting role on this team in a short amount of time,” he said. Sophomore first baseman Isaac D’Agostino has recorded 15 hits in 27 at bats and drew three walks, giving him an on-base percentage of .600. “He really came on halfway through the year last year, and we kind of put him in a role where he earned it, where he was hitting in the middle of the lineup, hitting in the 4-hole for us last year toward the end of the year and started swinging it really well, making some adjustments,” Martin said. Martin said the team won’t allow themselves to become overconfident because of the good start. “Our expectations are the same every year we walk into this program, and that’s to go out and win the conference,” Martin said. With the way the team is performing, Martin hopes to see more students attend games. “Come watch some Eastfield baseball,” Martin said.